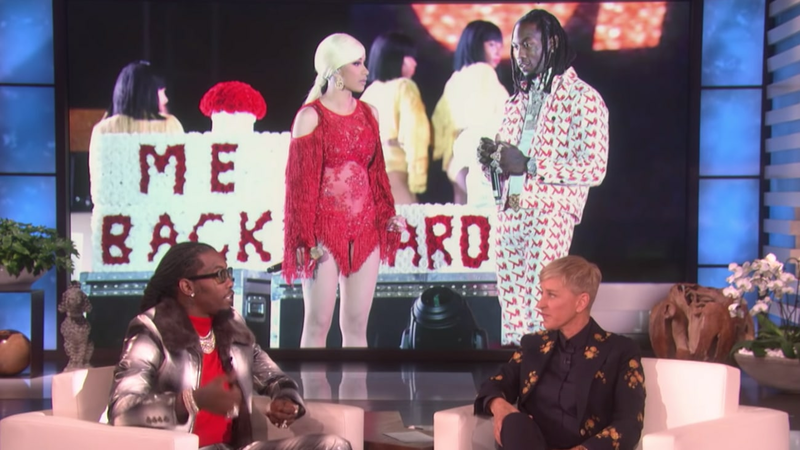 Offset opens up about botched public apology to Cardi B on "Ellen"
Fresh off the release of his debut solo album, Father of 4, Offset is continuing to show off a different side of himself to fans. On Friday (March 22), the Migos rapper made an appearance on the "Ellen" show where he and host Ellen DeGeneres got personal about his relationship with Cardi B, including explaining how he feels in retrospect about his public apology stunt back in December. The 27-year-old opened up his controversial decision to present his then-estranged wife with a flower display during her headlining set at the Rolling Loud festival in Los Angeles last year. "I love my wife, so it's serious — it's not a game to me," he began. "We have schedules and we have shows and I just felt like... I can't give that break between time, so it's my forefront, I step to it as a man to say I'm wrong. I step to it as a man, and you don't have to take me back but I just want you to know I love you and I care and I'm putting it all out on the table." 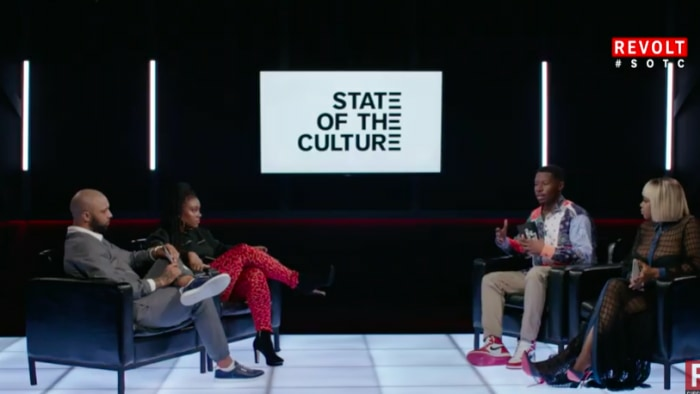 Offset then explained how he felt he was being extremely "vulnerable" with the public apology, adding how the onslaught of backlash he received further reinforces why men may hesitate when it comes to being transparent with their feelings. "That's why men don't be trying to be vulnerable," he said. "Because when you do it, it's like, there's something wrong with it either way." Offset then elaborated on his decision to apologize in the manner he did, noting how it is in a similar fashion to their highly publicized proposal in 2017. "I asked her to marry me in Philadelphia at the radio show in front of 60,000 people," he recalled. "And when I did that, they were like, 'Oh why'd he do that?' Because it's my affection showing; I'm not hiding it. I'm not hiding my affection for you, that's all. That's just me being vulnerable, I guess." In the aftermath of the situation, during which Cardi B expressed how she needed time to process and asked her fans to be kinder on social media. At the time she noted that slamming her "baby father" was "not going to make me feel any better." 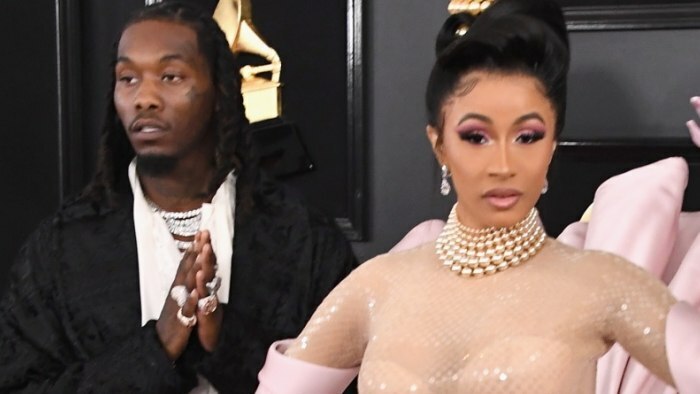 Since the stunt, the couple have reportedly reconciled and are focusing on caring for their 8-month-old daughter, Kulture Kiari. Take a look at Offset getting personal on "Ellen" in the clips below. New Music: DioMara revisits old wounds "I Just Want U"